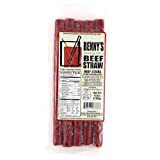 If you think a Bloody Mary doesn't have enough tasty garnishes already, now you can go completely over the top when you wrap your lips around one of these cool new Benny's Bloody Mary Beef Straws. Yep, unappetizing plastic straws have finally been replaced with hollowed out spicy beef. 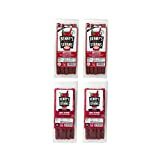 These ingenious edible meat straws are made from 100% USDA beef and spices and have a hole running through the entire length. 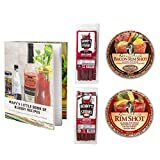 As you enjoy your Bloody Mary, the straw adds flavor and absorbs the drink for later on when it's finally time to eat it. Clever, but I'd like to see bacon straws next.